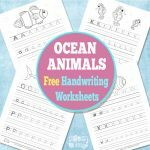 We’ve got some new and exciting printable worksheets for you today! 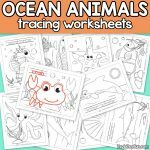 These free Space Tracing Worksheets are such a great resource for your young learners. 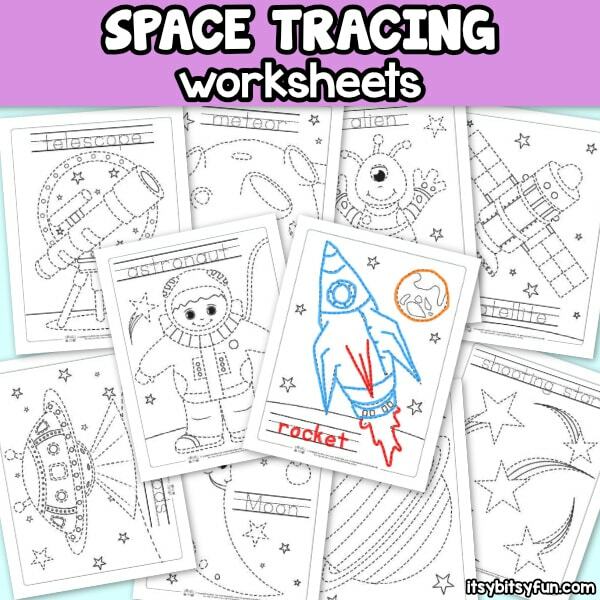 Not only does this space tracing worksheets help kids learn how to follow lines of a picture, they also help them learn how to trace words and letters and learn fine motor skills. 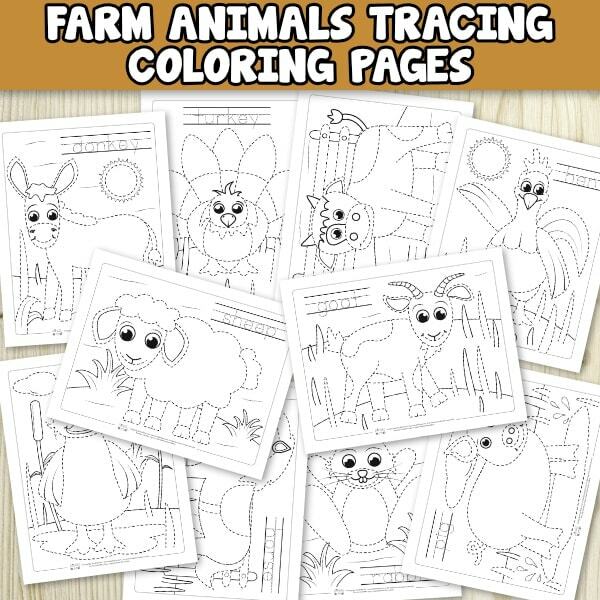 In this package of coloring pages for kids, you will get 10 space tracing worksheets. 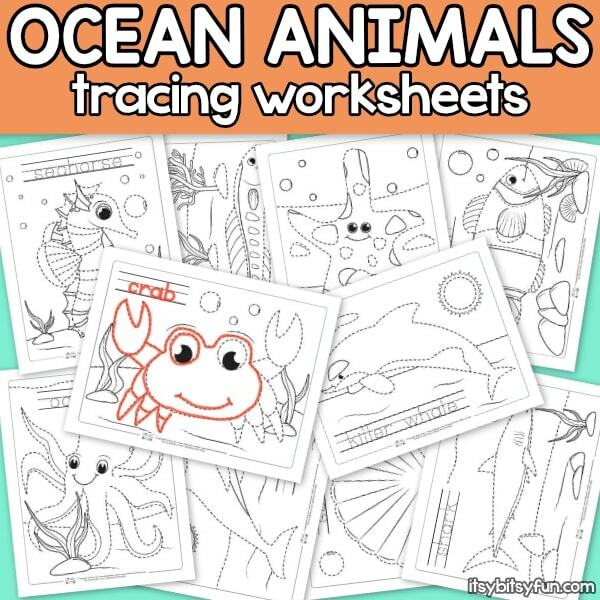 Each worksheet has a picture made of a dotted line so it’s easy to trace! 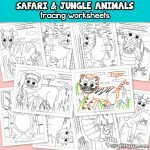 When your little is finished tracing there is a special space to practice the word of each object with letters made of dotted lines as well. 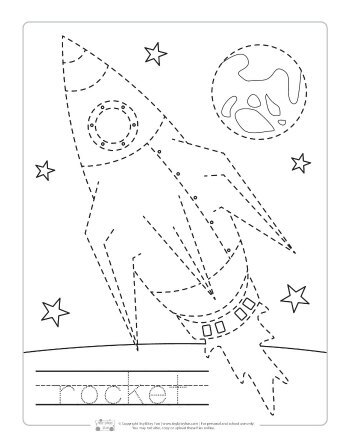 If you liked space tracing worksheets then you will also like these tracing printables. 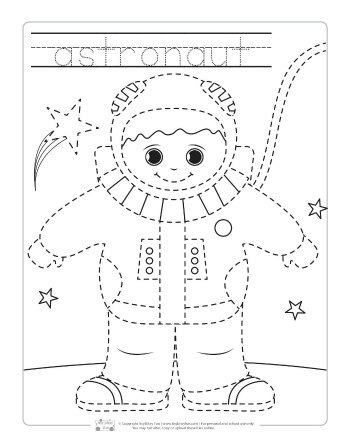 Page number two has a friendly astronaut waiting to meet you! 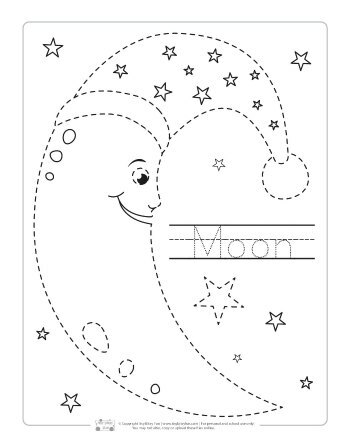 Also, a space to write “Astronaut”. Page three sparkles and shines with five shooting starts to trace and color in. 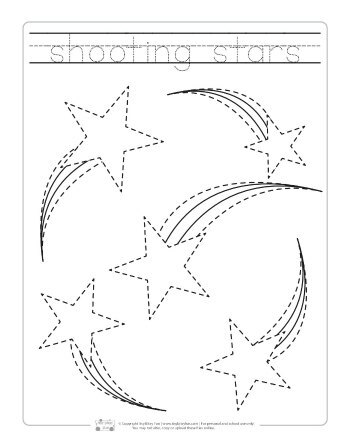 Here kids will learn how to write “shooting stars”. 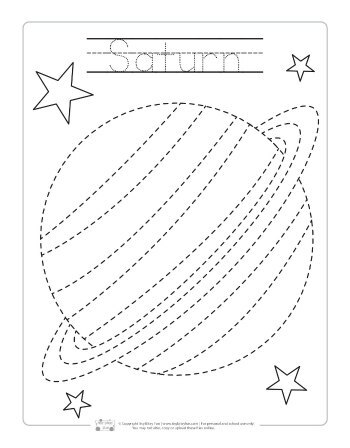 The fourth page holds a grand picture of Saturn, with a special writing space. 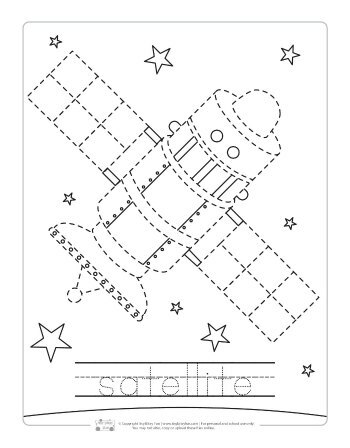 On page five your little students will learn about satellites by tracing the picture and spelling the word. Page six brings in a crescent moon with a cute bedtime cap! 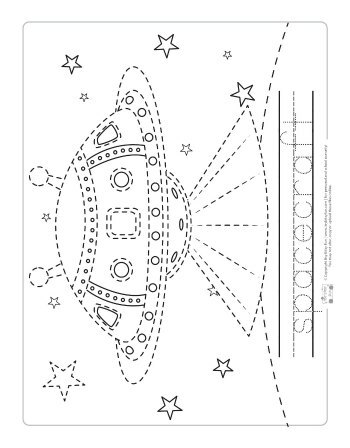 With page seven we find a UFO Spacecraft! Page eight brings along a friendly alien to trace. 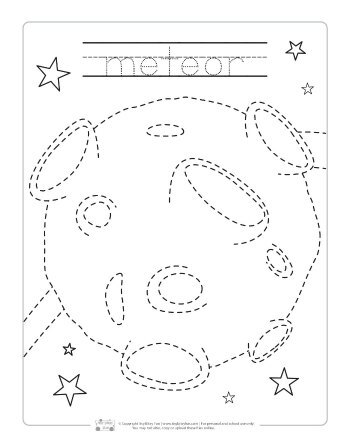 Almost done with page nine, you’ll find a huge meteor to tace and color in. 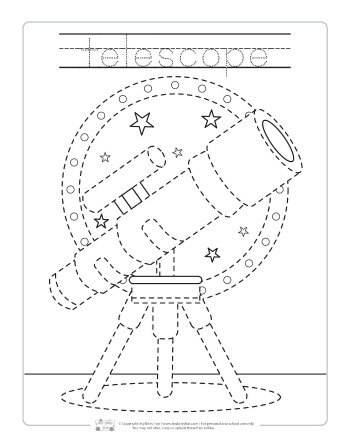 The last page you’ll find a magnificent telescope! 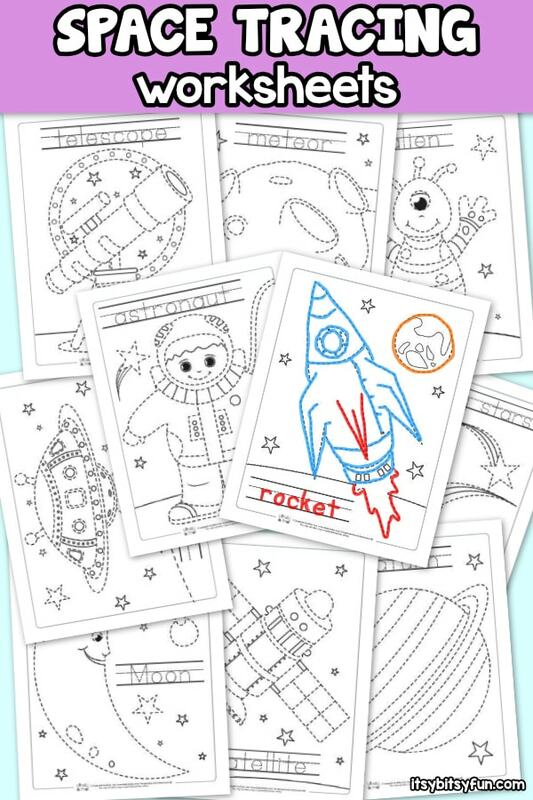 These worksheets are sure to be a hit with your young astronauts! 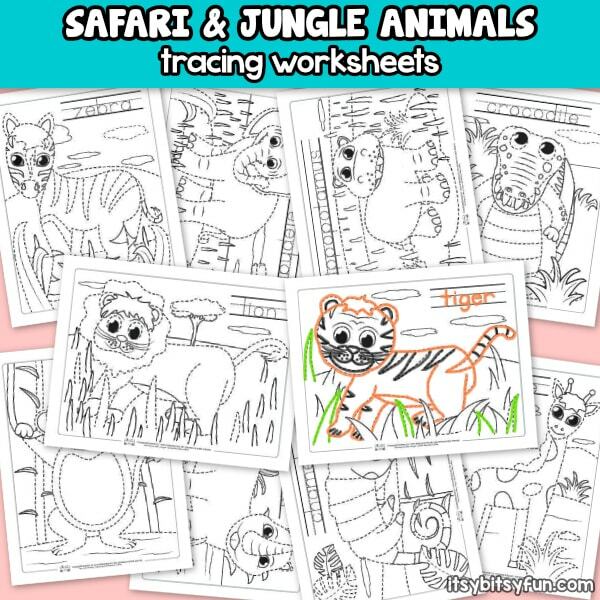 You can laminate your worksheets to use again and again, or print out multiples for classes, or as a game to play! 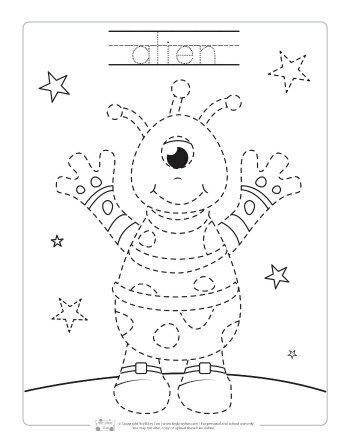 Get your Tracing Coloring Pages – Space here.